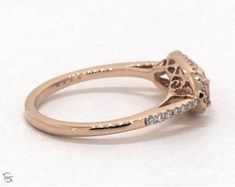 In 2006, $5,200 was the average amount spent on an engagement ring. With the downturn in the economy, the average ring price dropped, but now 8 years later budgets are once again inching up to where they once were. 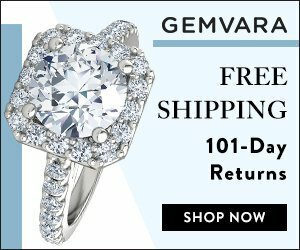 Is $5,000 your engagement ring budget? If so, you’re probably itching to see what other’s have gotten for their money at this price point. 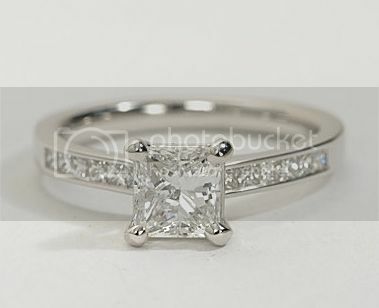 Have you visited the Blue Nile Recently Purchased engagement ring page lately? 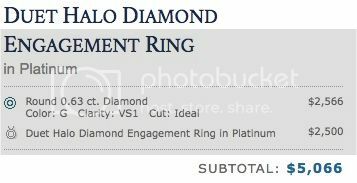 It is one of my favorite places to browse real engagement ring pictures and see exactly how a ring stacks up – literally. 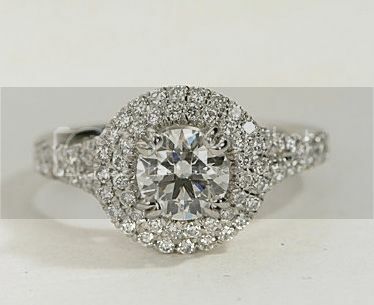 If you’re lucky enough to have a $5,000 budget, you’ve got lots of options to create a gorgeous ring of any style. 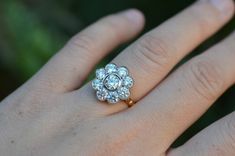 For inspiration, take a look at some beautiful rings customized for under $5,000 on Blue Nile, below. Split shank halo settings are current, and classic at the same time. Don’t ask how – they just are. 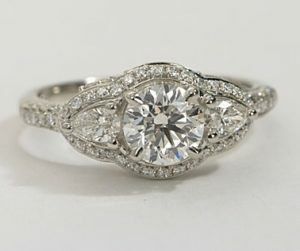 A 0.80 ct diamond grows in appearance with the surrounding halo, and the split shanks give the ring a heft and symmetry that make it perfect for the bride who wants to wear her ring alone without a wedding band. 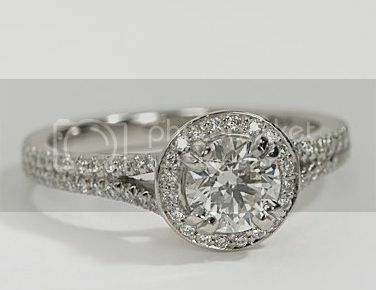 But if you love the layered look, Blue Nile suggests this Pave diamond eternity ring to wear alongside it. Yes! 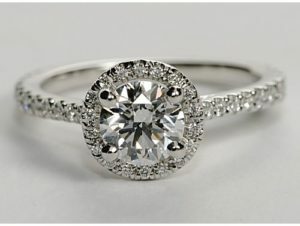 A $5,000 budget can get you a 1+ carat diamond AND an elegantly designed setting that includes channel set stones. 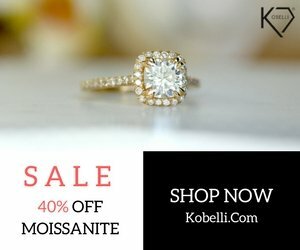 The savvy fiance who designed the ring above checked off all the must-haves for the bride-to-be with this elegant sparkler, and still came in under $5,000. 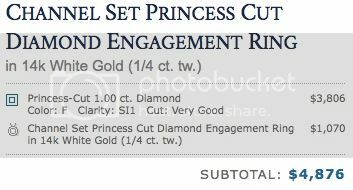 I love how the channel set princess stones in the band echo the 1.02 carat princess stone selected for this ring. Well done! 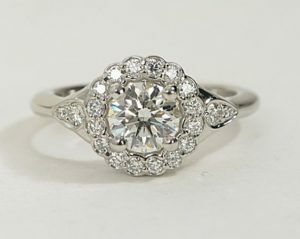 Choosing a simple setting, like this low dome comfort fit in platinum, frees up more room in the budget to spend on the diamond. 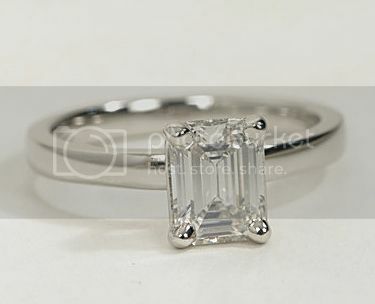 In this case, one bride-to-be will be wearing a fabulous emerald cut 1.22 ct engagement ring which needs no embellishing. And stays under $5,000! 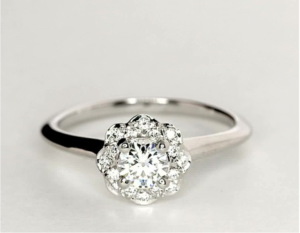 A 0.63 ct diamond will more than suffice when it is surrounded by a sumptuous platinum double halo like this Duet Double Halo setting by Blue Nile. 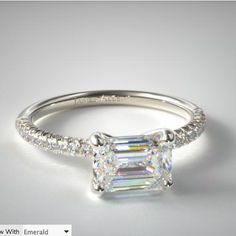 This luxury designer look which could pass for a Henri Daussi or other designer engagement ring is sure to take her breath away, but not steal your wallet in the process. 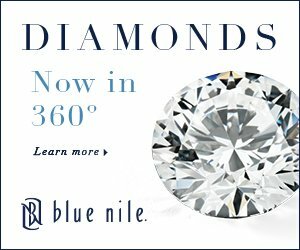 Considering Blue Nile for your engagement ring purchase? 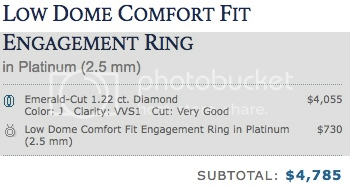 Read my detailed review on buying an engagement ring from Blue Nile here. Inspired? I hope so! 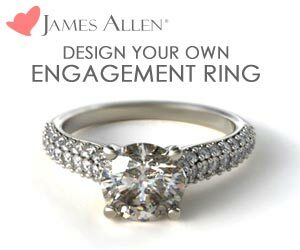 Now go ahead and create your own engagement ring, at any budget, on Blue Nile.